Recently, the New York City Department of Buildings (DOB) released the full Site Safety Training (SST) Curriculum guidelines to the public, one of the last hurdles for those seeking to deliver Department-Approved Training to the men and women who build New York. As of this writing, TSCTA is finalizing our curriculum submittal for the DOB and will be making a formal announcement once we receive our approvals. In the meantime, read on for an overview of Local Law 196 (LL196) milestones and details of who may be capable of providing you and your crew training and ultimately issue SST Cards. What does the LL196 require? All construction and demolition Workers on certain sites (those that require a site safety plan or site safety professional) must complete a minimum of 40 hours of construction safety training. Supervisors on these projects will be required to complete a total of 62 hours of safety training. By when must the SST training be completed? Complete a DOB-approved, 100-hour training program (i.e., DOB-approved apprenticeship program). Editor’s Note: A previous version of this article noted the previous compliance deadline for Workers as December 1, 2018. Editor’s Note: A previous version of this article noted the previous compliance deadline for Supervisors as December 1, 2018.
Who can provide SST Training? Currently, any entity that will provide Department-Approved Courses must comply with the existing requirements outlined in 1 RCNY 105-03 as well as the additional requirements detailed in the July 2018 Service Notice. 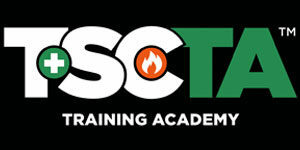 TSCTA is approved to provide DOB-approved courses and therefore, only needs to receive approval for our SST Curriculum. What do the new SST Provider Guidelines mean for students and can I take the training at TSCTA? The latest service update from the DOB is primarily for current and prospective training providers. With this latest release, we are one step closer to having our full SST curriculum approved and being able to provide you with the training you need to stay in compliance and on the job. While the DOB has not provided a timeframe in which submission will be approved, we fully expect that current approved training providers will not have to wait long once their curriculum has been submitted for review. At TSCTA, we will continue to keep you up-to-date with the latest information as it becomes available. We strongly encourage you to bookmark our TSCTA News page, follow us on social media (Facebook, Twitter, and LinkedIn) and subscribe to our mailing list to ensure you get the latest info delivered straight to your inbox.